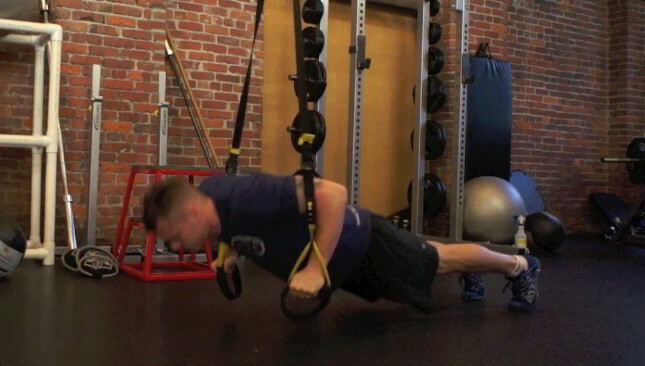 The TRX knee to elbow is a challenging core exercise that targets the abs and obliques. 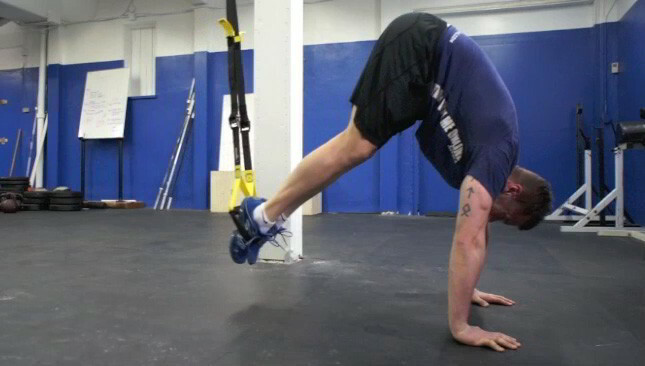 The TRX pike crunch is an intermediate core exercise that targets the abs. 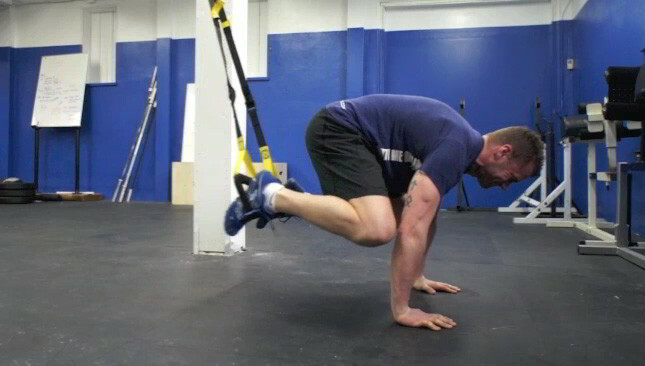 The TRX double knee tuck is an intermediate core conditioning exercise that targets the abs and obliques. 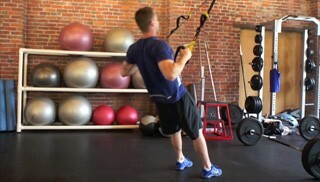 The TRX knee tuck is an intermediate core conditioning exercise that targets the abs and obliques. 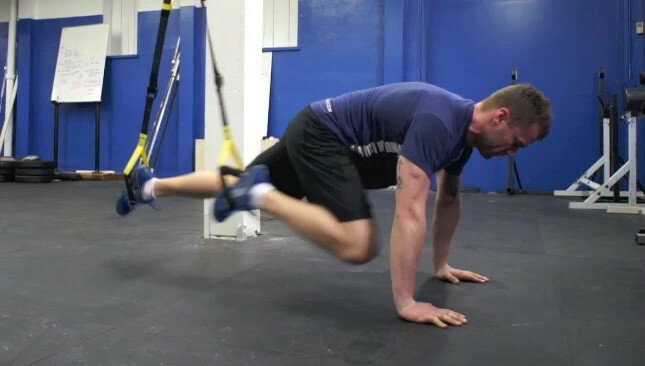 The TRX mountain climber is an intermediate core conditioning exercise that targets the abs. 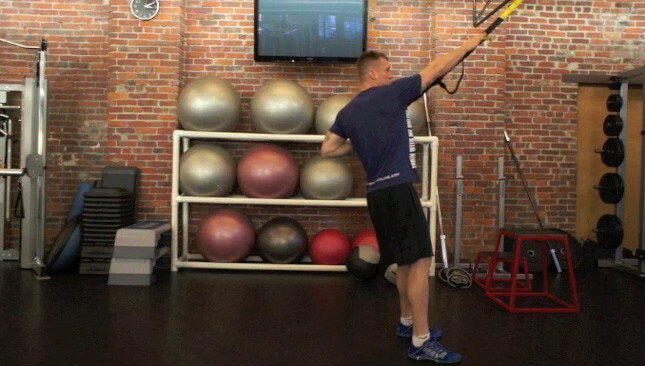 The TRX body row with the Bosu is an intermediate upper body exercise. 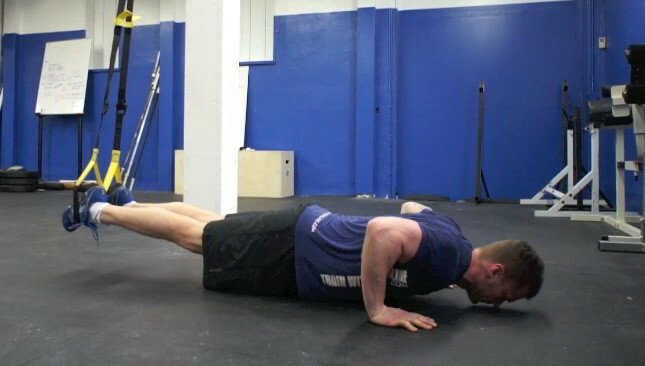 This is a challenging exercise that targets the upper and mid back.